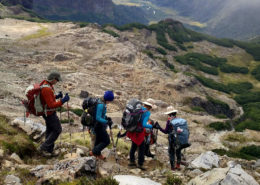 This guided hike in the Nahuel Huapi National Park takes you to one of the most beautiful summits in the Bariloche area in only a few hours. 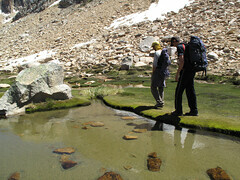 The hiking trailhead leaves from a little gaucho ranch and follows a crystal clear mountain stream. 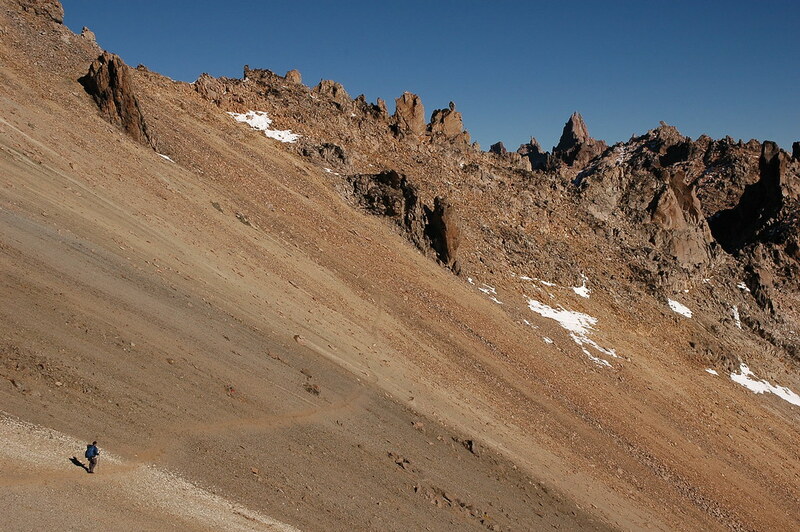 Then the trail becomes relatively steep, and you gain altitude quite quickly. 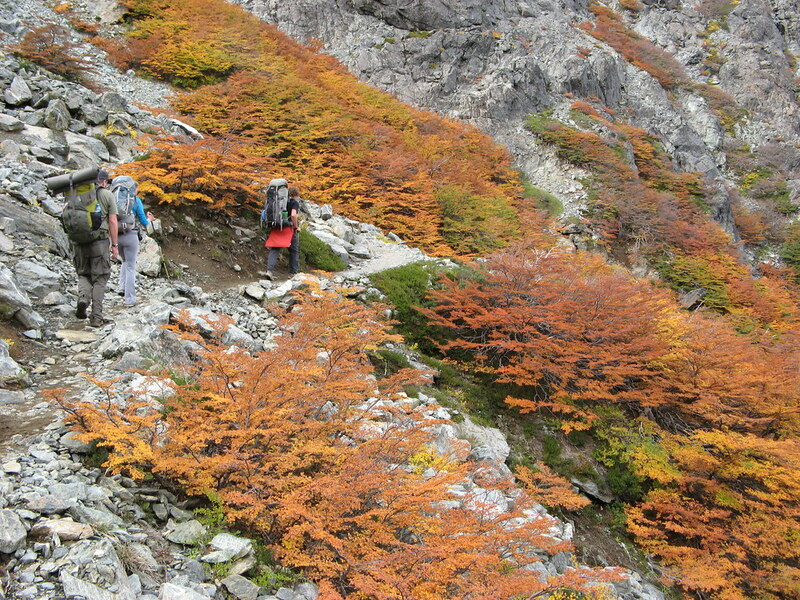 Switchbacks take you through the various vegetation as you climb: bamboo and coihue forest to cypress to the Nothofagus. The Nothofagus, or southern beech, gradually change from trees to low bushes, and eventually we reach the tree line and continue hiking to the summit. 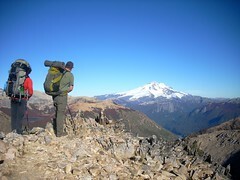 This mountain is called “Bella Vista” for a reason! 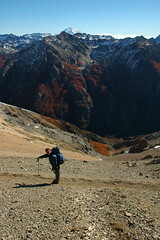 From the summit the views of the Patagonian Lakes District and the Andes Range is “bellisima”! You will be able to see many of the arms of the Nahuel Huapi Lake and its little islands, as well as several other lakes in the Bariloche area. The impressive snow-capped volcanoes, Mount Tronador, Volcan Osorno, and Volcan Lanin lie in the distance. Lunch at the summit or in the forest below if it is windy. 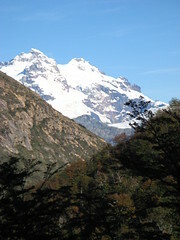 Cerro Bella Vista guided adventure hike takes approximately 3 hours to summit and 2 hours to descend. A great day of exercise! 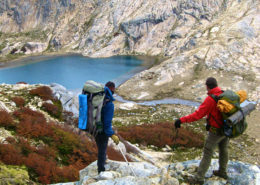 This walking excursion is also great for families with children over 12 years. 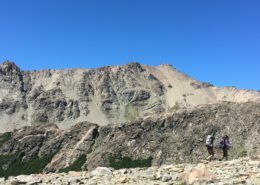 For intrepid hikers who want a longer day, your guide can lead you to continue from the summit for an awesome ridge hike. 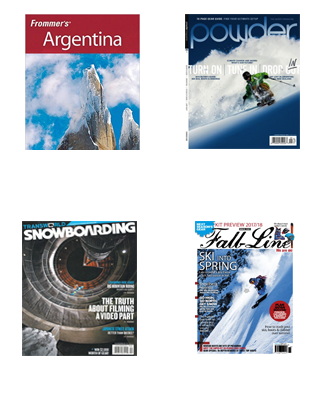 We strongly recommend hiring a Professional IFMGA UIAGM or AAGM Mountain Guides. Cerro Ventana is a pre-range, or pre-cordillera, mountain that lays between the Andes and the Patagonian Steppe. 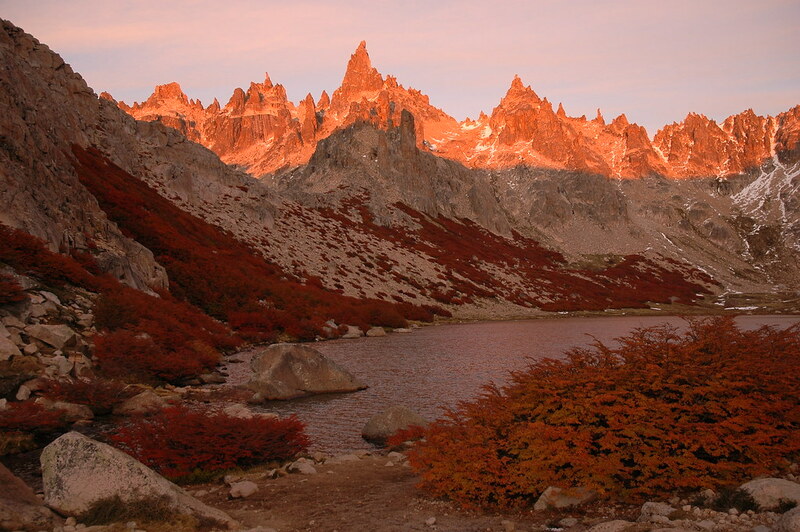 It gets its name from “The Big Window” formed by a big boulder and some basaltic spires. The window is so large you can see it from town! 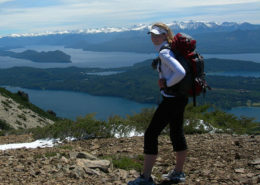 Cerro Ventana guided hike takes around 3 hours to the summit. Once you are at the top, the terrain offers an easy walk over the ridge that invites you to combine few summits in a day. 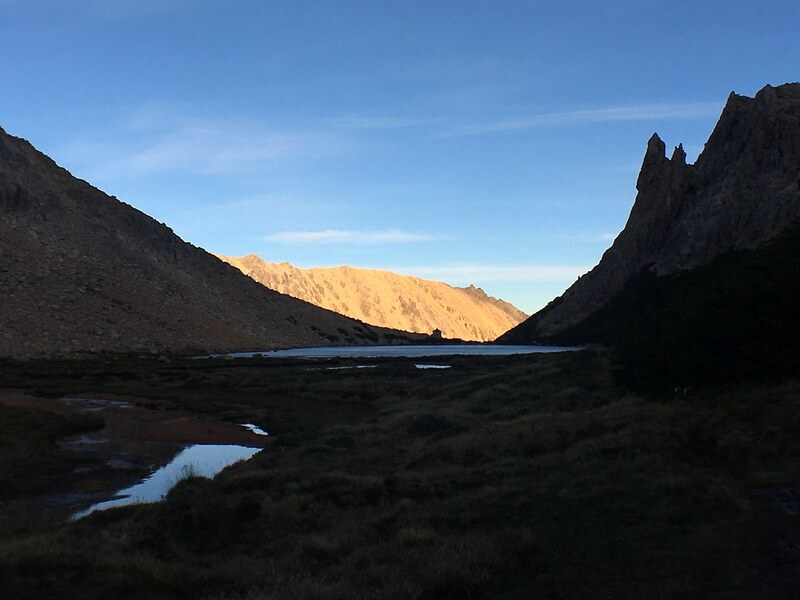 There are beautiful views of the huge Lake Gutierrez and the granite spires of Cerro Catedral, that look like medieval castles on the top of the ridge. Good option for a unstable weather day! 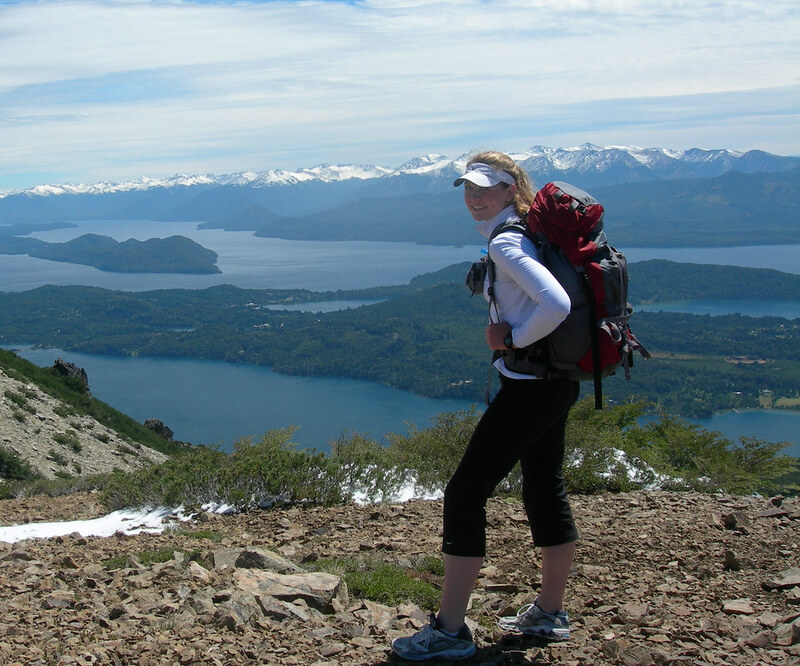 Cerro Challhuaco lays in the Nahuel Huapi National Park, and is a beautiful, mellow summit in the pre-cordillera range between the Argentine Andes and the Patagonian Steppe. Even the 4×4 drive to approach to the trailhead through the National Park is amazing with interesting rock formations and lots of crystal clear streams! 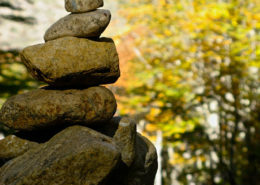 The hike begins by a charming little mountain hut, and our hiking guide will take you along a gently-climbing trail through the forest. Many wildflowers color the forest floor, and you may be able to see some local fauna like the large pileated woodpeckers. 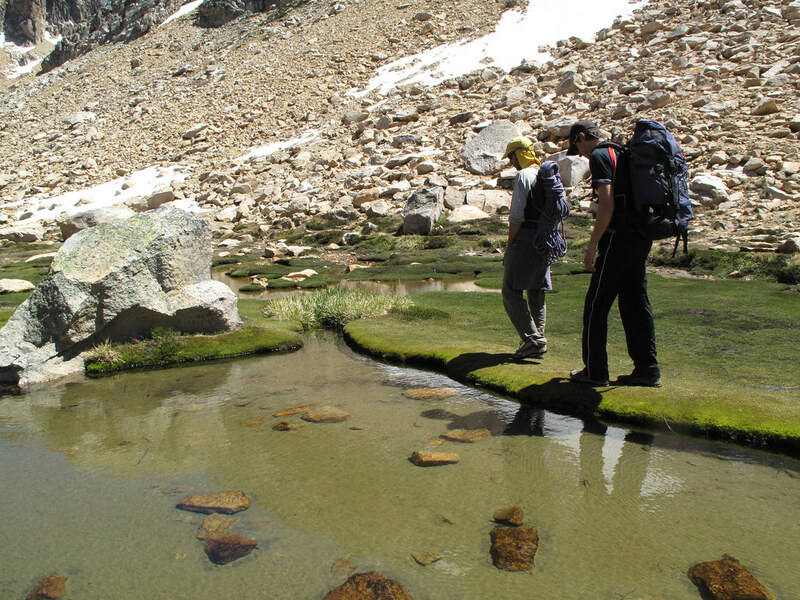 The trail takes you by a little mountain lake which is home to a species of frog found no where else in the world! 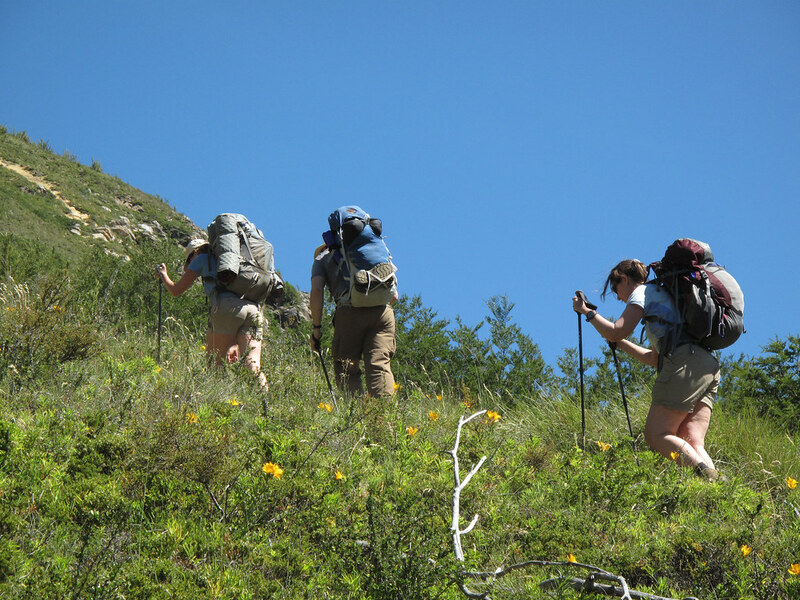 Once you’ve reached the end of vegetation, the tree line, your hiking guide will take you up a mellow scree slope for about 2 more hours of hiking to arrive at the summit of Challhuaco. Enjoy views of the dramatic Patagonian Steppe and the Andes Mountains. 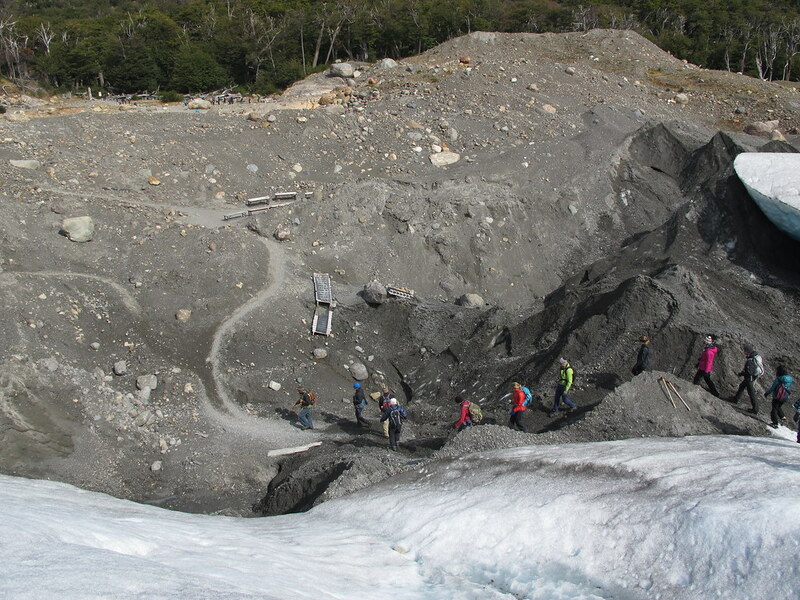 This is a nice day of exercise, hiking around 4-5 hours total on a good forest trekking trail and some mellow alpine scree terrain. 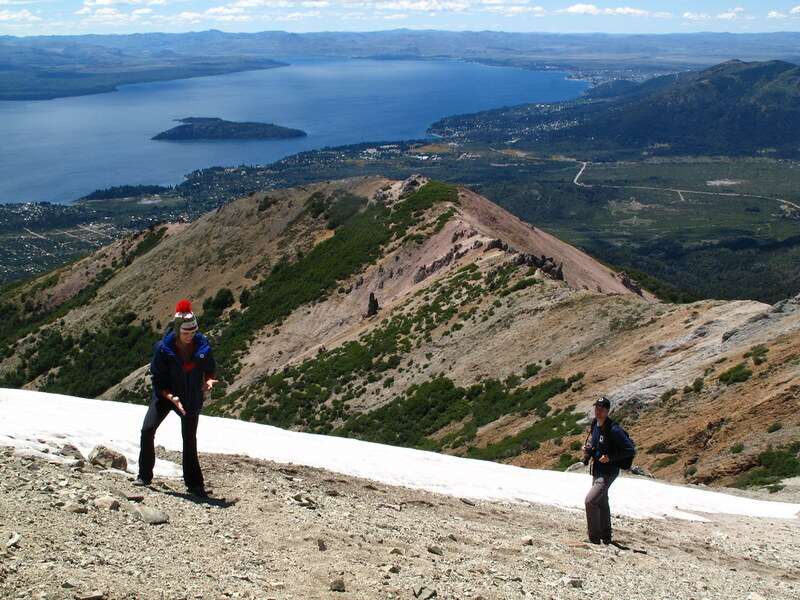 Frey mountain hut along the cerro Catedral ridge trek is a classic of the classics for day hikes around Bariloche. 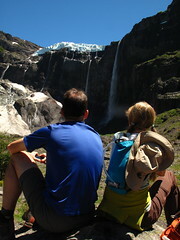 Refugio Frey attracts mountain sport enthusiasts from all over the world to backcountry ski, rock climb, and hike. It is a quaint mountain hut in a breath-taking location in the Nahuel Huapi National Park. With our hiking guide, you will start at the Cerro Catedral Ski Resort and take the chairlift or gondola to the ridge. This way, we gain a lot of elevation quickly, and from the top of the lift, the terrain is mostly a good, solid alpine trail formed on scree. 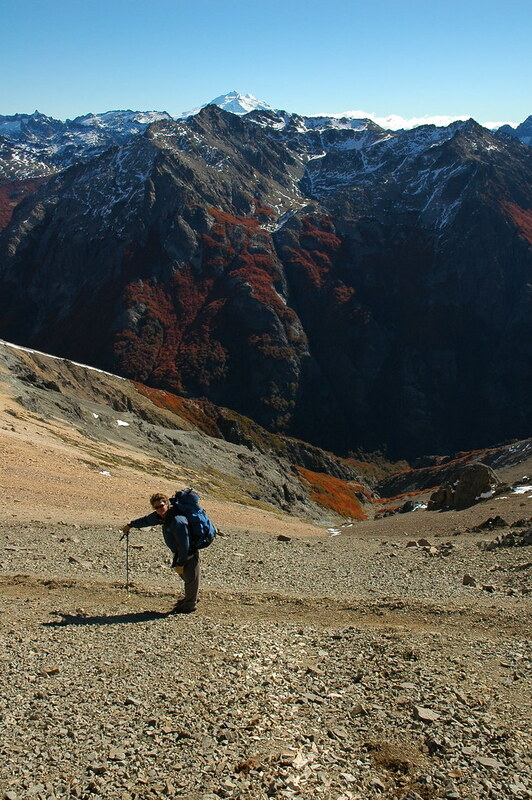 While hiking along the ridge of Cerro Catedral, you will have excellent views of the Argentinian Andes Range, the mountains of Northern Patagonia, waterfalls cascading down in the valley, and many of the huge lakes of the Patagonian Lakes District. After about two hours hiking along the ridge, your mountain guide will take you down into Toncek Valley which has high meadows, golden granite boulders, and Refugio Frey sitting beside a bright blue alpine lake at the base of a cirque of huge granite spires. Rest at Frey Hut, having some lunch, and even a splash in the lake if you’re up to it! 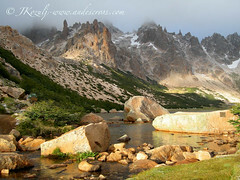 You may get to see some rock climbers that look like little ants on the golden granite spires. 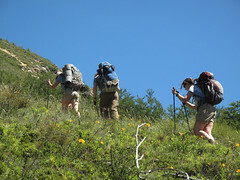 The hike down from Refugio Frey is approximately two hours on a good forest trail crossing several pretty creeks. 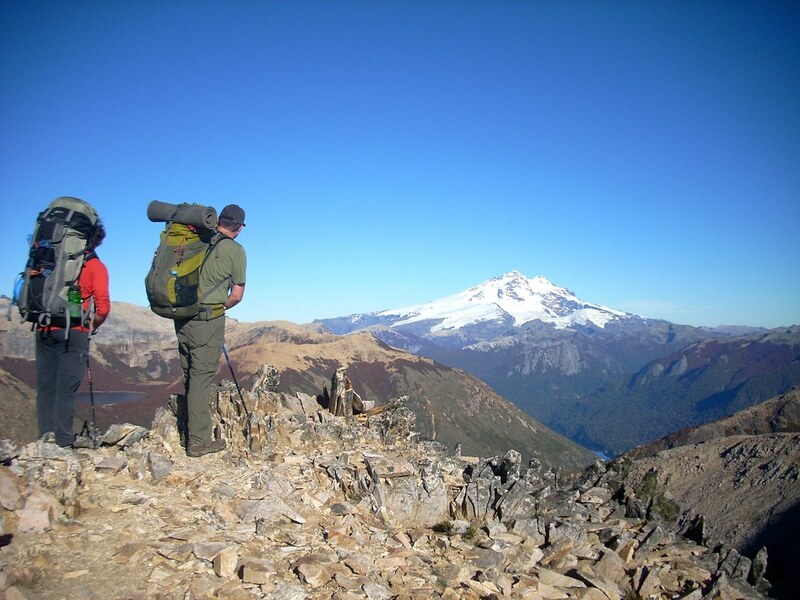 There are good views of Lago Gutierrez, and if we are lucky we may see some pileated woodpeckers. Back to Cerro Catedral Ski Resort parking lot. Drive to hotel in Bariloche.